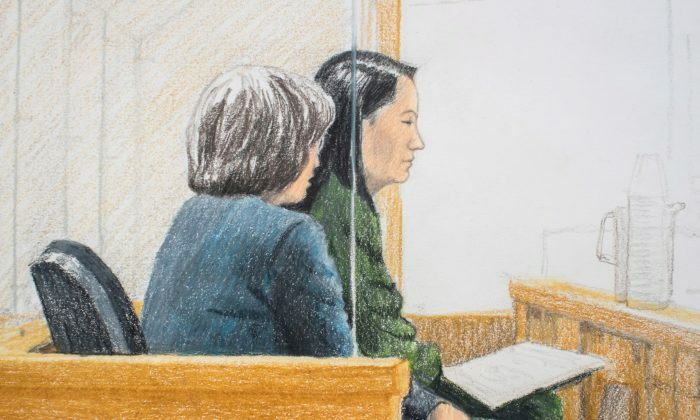 In making their case that Huawei CFO Meng Wanzhou who was arrested on fraud charges in Vancouver should be denied bail, the U.S. prosecution said that she has access to “numerous passports and visa documents,” allowing her to flee with more ease. According to the U.S. Justice Department and the United States Attorney’s Office in the Eastern District of New York, Meng has used seven passports from China and Hong Kong in the last 11 years to enter the United States. The passports include four issued by China, and three issued by Hong Kong. Both Chinese and Hong Kong passports have a typical validity period of 10 years. Legally, a mainland Chinese citizen cannot hold both a Chinese and Hong Kong passport at the same time. “[I]t is entirely possible that Meng has additional passports of which the United States government is not aware,” U.S. prosecutor Richard Donoghue wrote in a statement. According to the Hong Kong-based publication Mingpao, Meng has at least one more Chinese passport that wasn’t listed in the U.S. prosecutors’ list. The publication says that a search into Hong Kong business registry shows records of a Chinese passport belonging to Meng that has a number starting with the letter P, while the Chinese passport numbers listed by U.S. prosecutors all start with the letter G.
Michael Spratt, an Ottawa-based lawyer specializing in criminal law, says that when it comes to bail hearings, if a person has more than one passport, it could add more challenge to make the case that the person is not a flight risk. “When the person has multiple different travel documents, it could be hard to satisfy the court that all of those documents that would allow travel will be turned over to the authorities,” Spratt said. Meng’s lawyers have said she has no intention to flee, and that she holds only two valid passports, one from Hong Kong and another from China. Her Hong Kong passport, which she used to enter Canada, has been seized by Canadian officials, and her Chinese passport was shipped to Canada after her arrest, her legal team said, adding she is willing to surrender the Chinese passport to the authorities. Meng’s legal team have also said that she was a permanent resident of Canada until 2009, when her status expired. 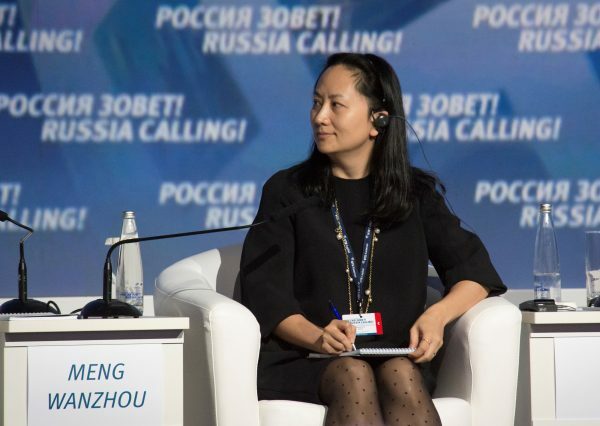 Meng, daughter of Huawei’s founder, is charged with committing fraud for allegedly misrepresenting the relations between Huawei and Skycom—a Hong Kong-based company that reportedly conducted business with Iran—to banks in the United States. She was arrested in Vancouver on Dec. 1 as she was en route to Mexico from Hong Kong, and is facing extradition to the United States. Each of the offences Meng is charged with carry a maximum prison sentence of 30 years. Meng denies the charges. Her first bail hearing was held on Dec. 7 in Vancouver, and will resume on Dec. 10. Huawei, a Chinese telecommunication giant, was founded by a former officer of China’s People’s Liberation Army (PLA). The intelligence community has raised alarms about Huawei’s close ties to Beijing, with the United States, Australia, and New Zealand banning the company from their emerging 5G networks. For officials and the business elite in China, having access to multiple travel documents has increasingly come to be seen as a necessity in recent years as a means to be able to quickly evade trouble with authorities. The surge by Chinese and Russian wealthy using “cash for citizenship programs” offered by some EU member states has even caused European officials to promise to crack down on the practice. An internal report by China’s Central Discipline Inspection Commission leaked in 2012 said that over half of the members of China’s rubber-stamp legislature hold foreign passports, even though Chinese law forbids dual citizenship. During the 2013 investigation of Liu Tienan, director of the China’s National Energy Administration between 2011 and 2013, who was convicted on charges of bribery of 240 million yuan ($34.91 million) and sentenced to life in prison later, Hong Kong media reported that he held 12 passports from foreign countries including Canada and Australia. Zhu Mingguo, the disgraced former chairman of the Guangdong Provincial Political Consultative Conference who was investigated for bribery in 2014, reportedly held 14 Chinese passports under different names. A peculiar revelation during his investigations was that while the photos of the passports were all of Zhu, the gender marked in the passports were female. Zhu was sentenced to death with reprieve for taking bribes worth tens of millions of dollars. In another similar case in the same year, Ling Jihua, the chief of the General Office of the Communist Party of China between 2007 and 2012, was reportedly found to hold six passports under different names. In another case, Xi Xiaoming, vice president of the Supreme Court of the Chinese Communist Party, was found in 2015 to hold six passports, and three travel documents from Hong Kong and Macau. In the case of another official investigated in the same year, Zhou Benshun, who was the secretary of the Chinese Communist Party Hebei Provincial Committee, it was revealed that he held 12 passports.